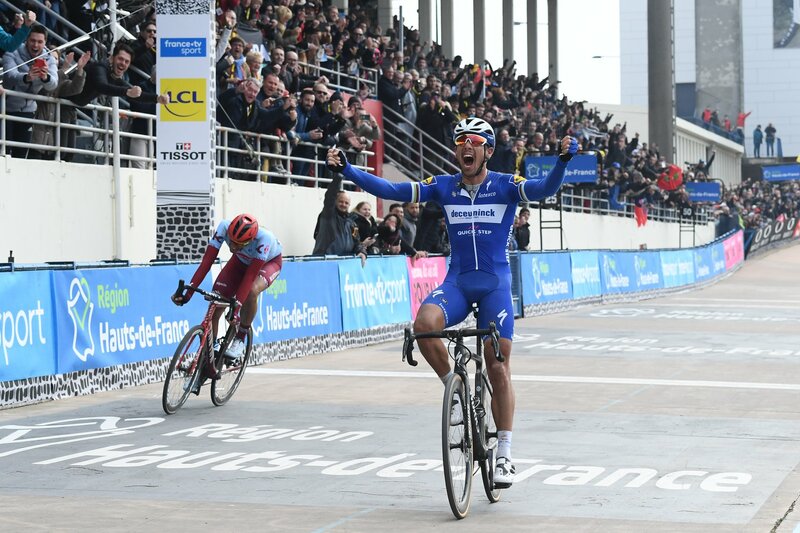 Philippe Gilbert took an incredible win at Paris Roubaix and was overwhelmed when he came to a stop track-side. Philippe Gilbert claimed the 257km Paris Roubaix at the age of 36 years, when most riders are retired or long off their peak. The Deceuninck-QuickStep staff were there to greet him when stopped at the side of the velodrome in Roubaix and they caught the high emotion of his victory, in the first clip below. Velon have also released the on-board highlights from an truly epic day on the pavé of northern France. The Belgian was the King in the North today and is now just one win off claiming all of pro cycling’s monuments.